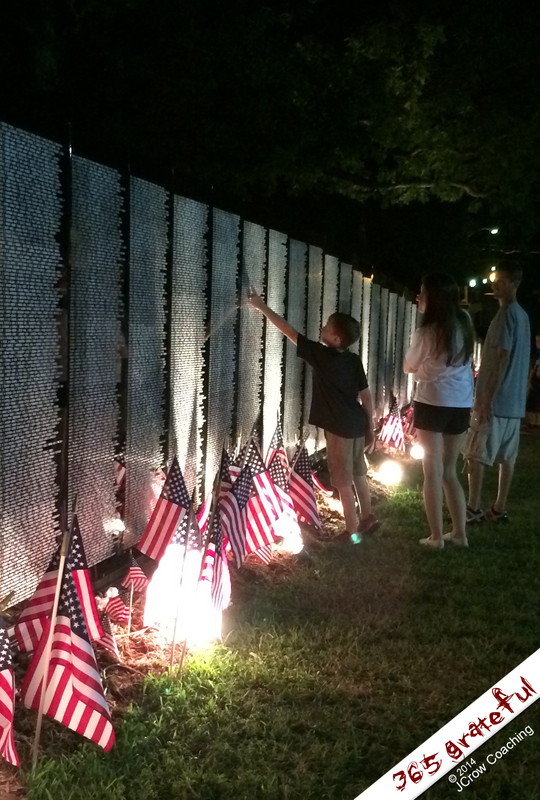 The traveling Vietnam Wall Memorial rolled into town for the weekend and set up in our city park. Walking toward the wall, you encounter a sign that reads, “This is Hallowed Ground.” And it truly is. It’s no longer the manicured grounds of the city park. Wherever this memorial stands, it transforms. There’s a reverence and a respect that’s palpable, and an aura of sadness that lingers for lives lost, for the horrors of war, for sacrifice. I am grateful for the service and sacrifice of those who served, not only in Vietnam but in every God-forsaken war.